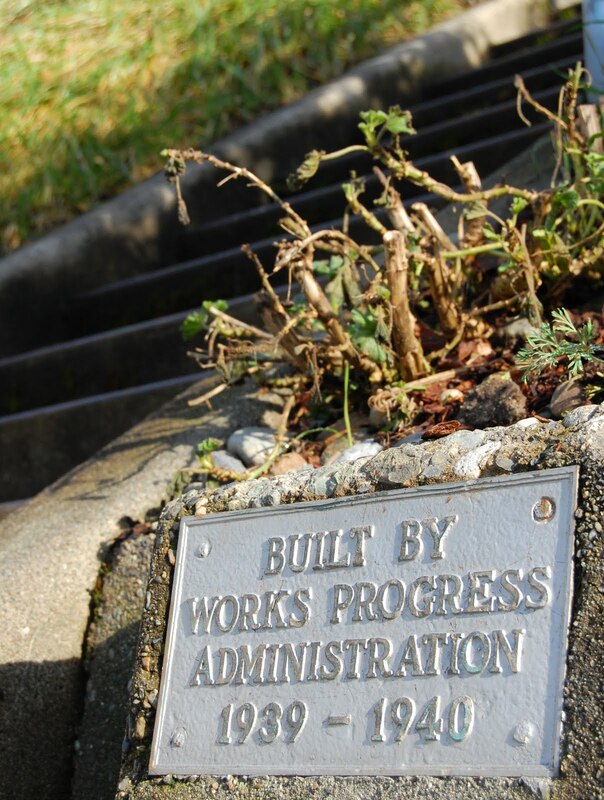 The Works Progress Administration was the federal stimulus program of the mid-1930s. Infrastructure projects were built all over the country, including this stairway, Seattle Department of Transport's stair #55, joining the two one-way halves of 13th Ave W at Boston St. Sadly, I can't point to any local infrastructure project that 2009's federal stimulus program funded and completed. Most of the money seems to have been spent on short-term operating costs of state and local governments.